Home » Knowledge base » Learning » How to set up the Store in the customer application inCust? The article describes the process of creating the Store for your business. A Store is a service in which a customer can make a purchase via the Internet and make payment within the mobile application or at the point of sale\upon receiving of delivery with cash, as well as choosing a convenient delivery method. 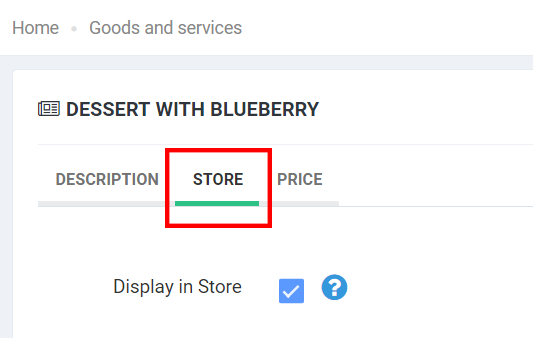 The Store in the inCust system is located in the Control panel for customers and in the inCust application for customers. A business receives an order from a client, receives client status, and can also integrate order creation into cash register software. The business receives payment directly to its company account that physically processes payment acceptance, and the inCust platform provides interaction with it. The Store works both in the inCust mobile application and as a web page in a browser (Control panel for customers). After completing the necessary settings in the loyalty program Control panel, the store immediately starts working. A link to the Store appears on the point of sales in the inCust mobile application. The business can also place a link to the store in social networks and on its website, or even encrypt the link to the store in a QR code and place on promotional materials. Go to Settings->Loyalty Program->Configure Loyalty Program-> go to the Store tab. Put a tick near the Store is active. In the item Payment type specify how your customer can pay for goods or services. 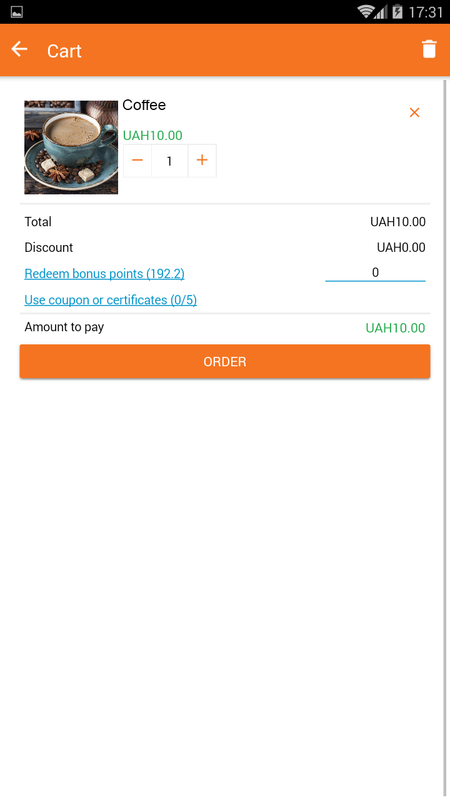 Do not accept payment – you cannot accept payment in the mobile application – then the customer can only place an order, and payment will be made after receiving the order. Payment required – If you select this setting, the customer will be obliged to pay for the goods or service when placing an order. To implement such mechanics, you need to connect the reception of payments, for this, contact the manager to clarify the details. Payment only with bonus points – If you select this setting, the customer will be able to order only those goods that can be paid with bonus points. Сhoosing register for the Store, it is would be better to create a new register to make it easier to collect reports. Before using the Store, you must enter into an agreement with an acquiring company. Next, provide us technical specifications so that we make the right settings. It is necessary only for the types of payments "Payment required" or "Payment is possible"
Please note, even if your Store does not have targeted delivery, you need to check out the goods or service in a Store as a type of delivery. If you have several ways of receiving goods or service – create for each type a delivery method. In the tab of the Store that we set up above, scroll down the page and click Add a new delivery method. The delivery method is enabled: as soon as you tick the box and save the settings, this delivery method will appear in the mobile application and start working. Levels of delivery prices: You can customize the ranking by price policy of delivery, depending on the amount of the order. Note that the first range of the order amount must be from 0 to the first threshold. For example, if the order amount is from 0 to 100, the cost of delivery is 5, from 100 the cost of delivery is 10. It is needed to add goods and services, for this go to Settings-> Goods and Services-> New goods or service->Store. Without filling in the “Loyalty program settings” tab it is impossible to proceed to the Store settings. First of all, set up your loyalty program and proceed to set up the Store. Add images and a public description. It is required to adjust the price of goods or service. Without it, your product will not appear in the Store. You can add a category of goods for the convenience of sorting them. Go to the tab Settings->Goods and Services->New goods or service->Price and set the right one. 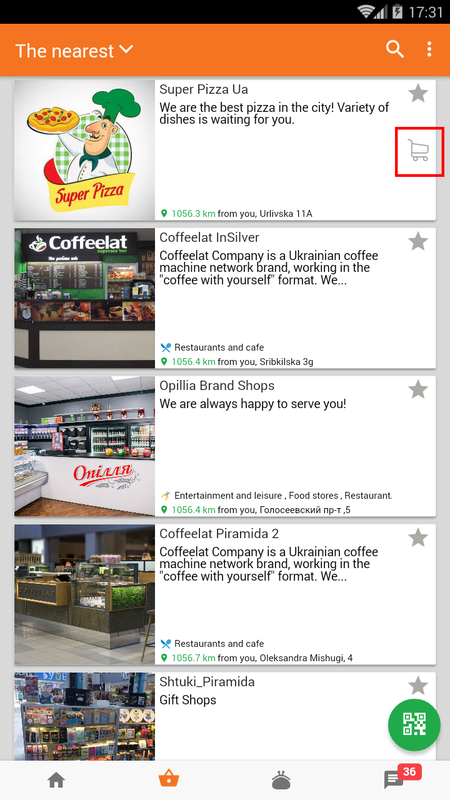 pens the application or mobile application inCust, goes to the Points of Sale tab and clicks on the icon of the Store. Then, the customer selects the desired goods or service and proceeds to payment. Information about the order comes to the business mail and also displayed in the tab Log of orders in the Control panel. Ordering information comes twice. Separately comes the notification of the creation of the order, and then the notification of changes in the status of the payment. 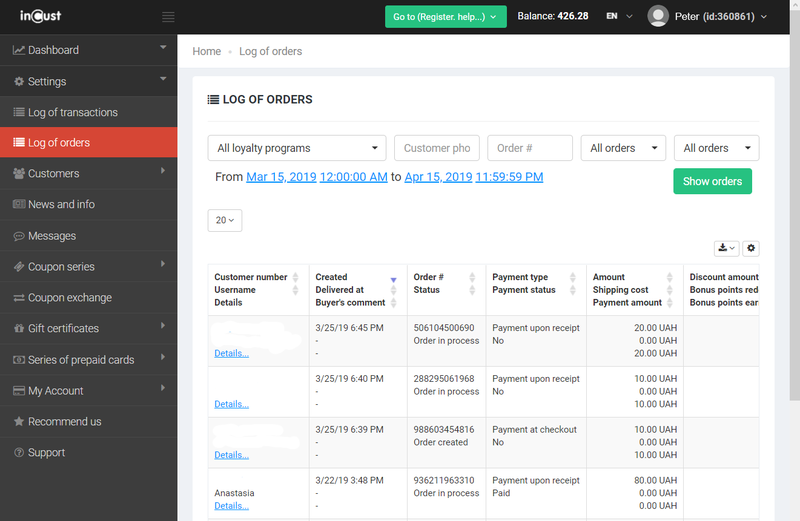 In the Log of orders, you can confirm the delivery of the order or change the status of the order in the Actions column. In order for your Store to work, your point of sale must be published in the customer`s application, which you can be downloaded from the Google Play / App Store or open the web version my.incust.com. You can do this by going to Settings>Point of sales> Edit> Publish point of sales in the catalog and click Publish. After setting up the Store, it automatically starts working as well just through the link on the Internet. Control panel contains all the functionality of a mobile application. You can find your Store either inside your company’s page or on the list of companies (as described above). Tip: You can save the link to the Store. To do this, simply copy the page address in your browser. Now, you can publish this link on your website or in social networks. The customer, who follows the link, will immediately open your store, or (if the inCust mobile application is installed) in the mobile application. To sum up, you need to perform just four steps to launch your Store in the customer’s application. If you have any questions about working with the Store – contact us, we will be happy to help you to set up!